I usually count myself as a survivor of life. I’ve survived losing my mom and sister when I was 14 years old. I’ve survived 5 miscarriages and learning that my uterus is destined to kill any baby that attempts to grow. I’ve survived. Heck, at times I’ve even thrived in the face of all of this. And yet, sometimes I am reminded that I have lasting breaks within me. No matter how much healing occurs, no matter how far I come, I will always hold pieces of me that are broken. I always had a very healthy relationship with my body. I never thought I was perfect, but I also wasn’t bothered by my flaws. Now, I realize I will always struggle to accept that my body is flawed in such a severe way. I have no realistic ability to overcome this break. My body is broken. I no longer ask friends how their pregnancies, unless I see them in person. When I see them in person, I can confirm that the baby is still alive based on their growing baby bumps and so I’m okay with asking. Over the phone, or via text, well I just don’t know. And I just wont go there. What if they lost the baby, and they don’t want to talk about it? I no longer see pregnancy is an exciting thing, or a magical thing. For me, it’s the scariest thing I’ve ever faced and now it simply means death. The death of our child, and possibly even the mother. I no longer think like a normal person. My mind is broken. I’ve had too many hurtful comments from people in my life (some well meaning, others not). I’ve lost friends who chose not to contact me again after telling them about our losses. I’ve pulled away from others who are growing their families and experiencing everything I dream of, in order to help protect my heart. I don’t trust people the same way I used to. My heart is broken. I have no idea what the future will bring. 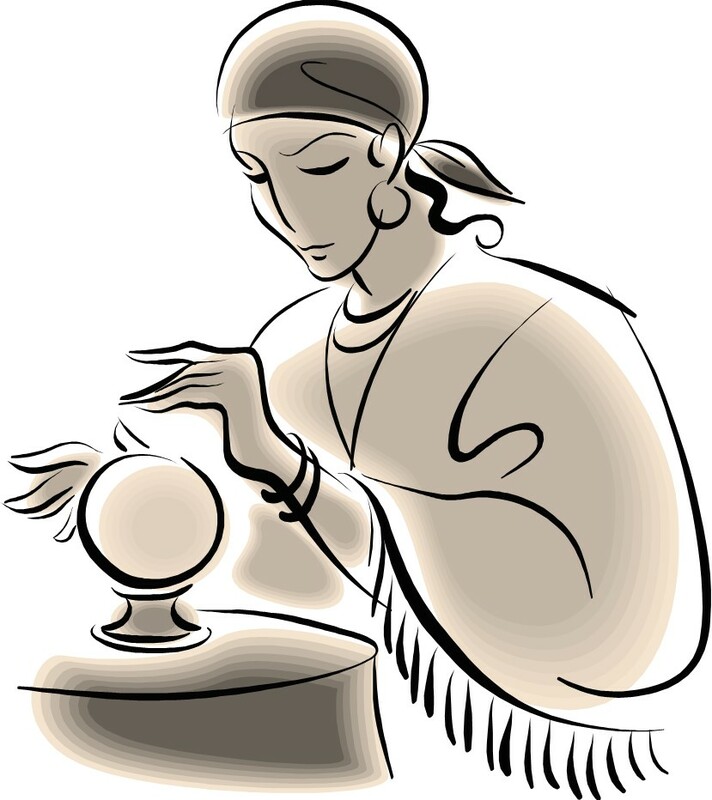 I do not have a crystal ball or magical cards that will tell me the future. I wish I did. I wish I knew that in 2 years or 5 years or even 10 years, my many breaks will heal and vanish. But, that’s not how life works, there are no glimpses into the future. Instead, we have to live to unravel the mystery that is tomorrow. Instead, all I can do is hope. Hope that these experiences turn me into a better person, not a bitter person. ← Did I Give Up? Thinking of you sweet girl. It ebbs and flows, doesn’t it? You are doing great. Can’t wait for you to get that match phone call! It does ebb and flow. There are more good days now then bad, but the bad days are still hard. Thanks so much for your love and support. I definitely understand! We will always miss our babies and the hope they represented…but I have a feeling we both are going to be in a much different place in the next year with all of this. So glad I have “met” you! Yes. I haven’t experienced nearly as much loss as you, but I very much recognize that feeling of brokenness — and while I’m sure whatever resolution we both reach to build our families (when you’re matched with your baby — hopefully soon! ), there will still be some of this brokenness that persists. There will be new beautiful things to experience, but that won’t make the hurt go away. I miss the time when pregnancy was magical and I assumed that it would result in a living baby and living mom. I miss the version of me from just a year ago who thought that life was mostly amazing and beautiful and made sense, and that if you were informed and prepared you could avoid most disasters. That sense of trust in the universe is just gone, and I miss it. You’re already a pretty great person, and I’m sure that if anyone can find a way to spin all this straw into gold it’s you. 🙂 But you can be a different person (and even a little bit bitter) without being better or worse — I think about the friends who have been helpful through these experiences, with whom I’ve grown closer, and they’re mostly people who know what it’s like when the universe pulls the rug out from under your feet. They know what it’s like to lose that trust and keep going anyway. I don’t think that makes them better, but it makes them wiser and experienced in a way that has been comforting to me. You’re already one of those people, for better or for worse. I am sorry you too feel broken from this journey. I truly hate the ugly side of IF and RPL, and the lasting impacts. And I so appreciate all you say about missing the magic and innocence that we used to have. That said, i really appreciate your perspective that we can be different, and that doesn’t necessarily equate to better or worse. Just different. I so hope you are right that I will never just be bitter. Some days, when all the crazy emotions run through my veins, I cannot help but wonder! Thank you for sharing Nara! It sounds like we are very similar – putting effort into not being bitter. Some days, that’s the only emotion I feel, and yet, I push it aside because it’s not the type of life I want to live. I’m sorry we share these feelings. I would like you to rephrase with this: My body is healing, my mind is healing, my heart is healing. ❤ We all face a "new normal" after loss. We may still feel broken some days, but mainly it just means we've changed. You do so much reflection and self-care that I do not consider you broken one bit. You my friend, are always a shining light in my life. I read this the other day (I always read comments in live time, even if I don’t respond to them as quickly as I’d like), and you made me smile in the midst of a bad day. Thank you. Thank you so very much my friend. I wish the exact same for you. I think your self awareness on how you’re feeling is so good that you could never be bitter (at least not for anything more than a short time). You purposely make sure you look for hope and the small things that make you happy. I love that about you and find it inspiring! I myself, have only experienced one loss, but with DW, we have experienced 3, and it definitely broke me. I lost a big part of my previously vibrant self, and sometimes even these days, feel like an empty shell. I am just now starting to be able to talk about little Spark, and even when I am, it’s not without inconsolable tears. It is tragic, cruel, and absolutely unfair that we have ever experienced this kind of loss, and even more unfair that we’ve experienced the self-blame and body distrust that comes with RPL. I know you make an effort each day to be stronger and better than the next, but it’s okay to have bad days where you feel like you really got the short end of the stick…. Because really, you did in this respect. But if you’re having more good days than bad, I think that it’s a good sign that you’re stronger than this. That you WILL have the family that you want, and you WILL have a happy life, regardless. Sending you lots of love on your worst days. You have helped me so much on my worst days… I think you should know that. My friend, thank you so very much for your support and your love. And thank you for sharing and for reminding me that bad days are okay. And yes, I do have more good days then bad days, and am so incredibly thankful for that. Oh sweetie, I just read your update and I’m heartbroken for everything you experienced today. I guess we are both broken in our own ways, and yet I also believe we will both survive no matter what. Sending you love. Thank you so much for this. Honestly, it’s words like yours that motivate me to continue to write. Thank you so much. I really get that. I can tell you that even having a child does not take the scars away. They may sting less but they never go away. I think that the way I’ve made peace is to view both of our kids as embodiments of the souls we were meant to parent and that the other lost babies’ spirits, if they weren’t these two coming back to the front of the queue, are meant to be with other families and eventually will get there. Hence my blog’s name. In my heart I knew there was a spirit baby waiting for me just as I was waiting for him. I know there is a spirit baby waiting to join your family too. I *know* it. And when that happens much will feel more settled. But the losses are still there. And maybe remembering them makes us better parents? I hope it does. It certainly is part of who we are, like it or not. Your perspective is simply beautiful, thank you for sharing my friend. I so appreciate your perspective now that you are parenting. I really do think you are right, the scars, they never go away. They heal, but they are simply a part of who we are.